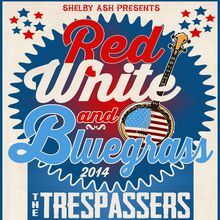 This year's annual "Red, White & Bluegrass" celebration features 3 of the hottest, freshest, and tastiest bands in these parts; The Trespassers, The Mountain Men, and One Grass, Two Grass, Red Grass, Bluegrass. From the foothills of Yosemite National Park, the Trespassers have been playing original, stringband music together for nine and a half years. 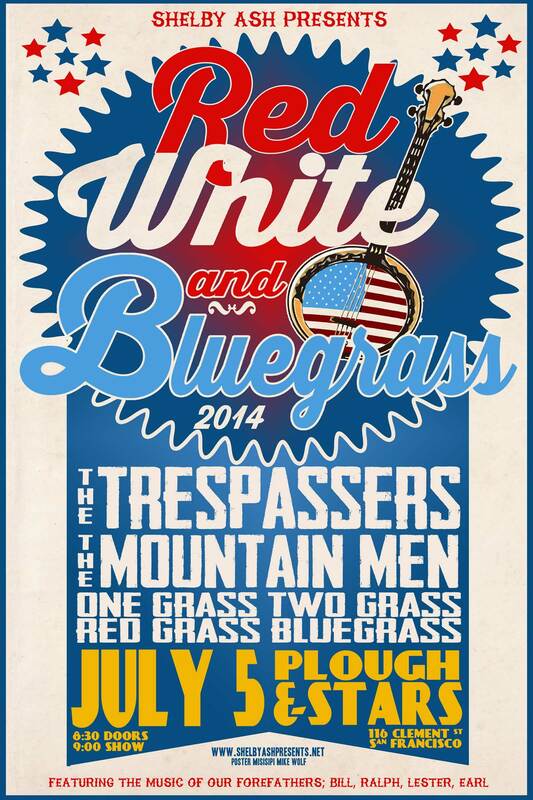 The most logical way to categorize their music is Bluegrass meets Americana. 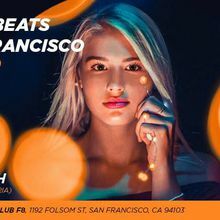 However their influences stems from many genres; rock, blues, gypsy jazz, country, old-time, and pure love of the mountains,...that's not really a genre of music, but it comes across in their music so well. This all-star stringband revue features Erik Anderson (dobro, vocals), Fritz Baggot (fiddle, vocals), Jared Jesperson (mando, vocals), David Barrow (guitar, vocals), Dan Newitt (guitar, mando, vocals), Todd Ronan (upright bass), and Andy Roberts (banjo, guitar, vocals). 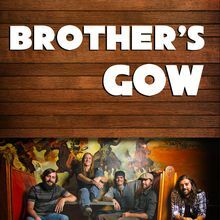 One of the newest bluegrass bands on the local scene. This outfit is hard driving, fun loving, old timey, new timey, and good timey all rolled into one.